Glove giant Top Glove net profit dropped 40mainly due to pressures on its average selling prices and higher operational costs. Riverstone will suffer same problem. Dump your shares before is too late. >40% of sales from Europe(incl. UK), Riverstone outlook could be badly hit going forward. lanseeboy, u are damn right. just wonder the management how to handle New Levy policy called EMC which would make employers responsible for bearing the cost of the foreign worker levy rather than the foreign work themselves. Better than cpf return, cukup. 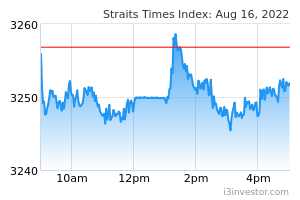 Shares of Riverstone Holdings Ltd/Singapore (AP4.SI) is moving on volatility today 5.94% or 0.06 rom the open. The SES listed company saw a recent bid of 1.070 on 1690000 volume. Good for me..in its very slow move clear my slot yesterday as Money Life Research suggested tgt 1.12 hit it...any way not met with loss la. gd ..as money life research suggested tgt hit la.